There’s no trying to deny that I’ve always been a fan of the Mafia games. The first one made its way to PCs shortly after Grand Theft Auto III, and even though that other game went on to become a huge hit, Mafia had its own devoted fan base, who like me, really got into the Italian mafia drama that unfolded in such an epic scale. 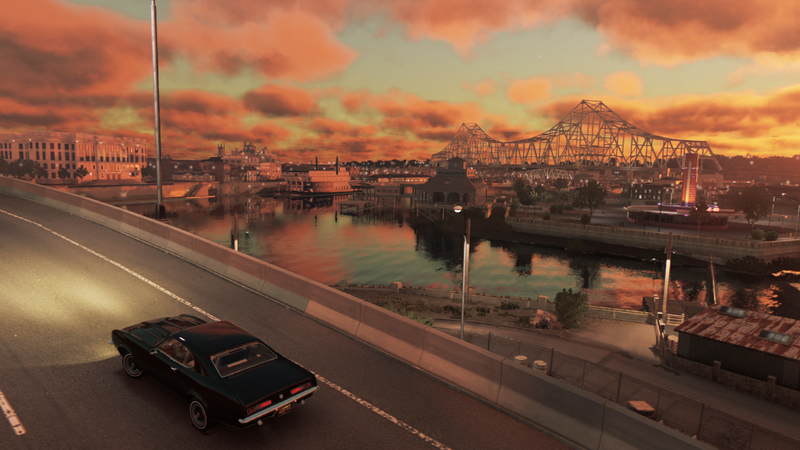 Its sequel, Mafia II, released in 2010, the heyday of open world games, featured a late 1940s/early 1950s version of a lifeless New York that had little to do other than drive from mission to mission. Even so, it still managed to keep me keenly interested due to the tie-ins to the original. Mafia III seeks to bring back the drama and back it up with plenty of content, as well as a lot of violence, from what I was able to see during a hands-off demo at this year’s E3. The game unfolds in the tumultuous year of 1968 and stars an African American protagonist named Lincoln Clay, fresh off the Vietnam war and with a vendetta against the Italian mob, who killed his friends during a hit. In his quest for revenge, he runs into a dissident mobster, a black power movement member and an Irish booze runner, who become his council in his rise to power, in order to rival the mob. The demo started out right in the thick of things, showing off the amount of activities there will be in the final game. The setting, New Bordeaux, a spin on New Orleans, is incredibly varied, and visually gorgeous, with beautiful sun sets and vistas. From the look of things, Clay will be doing the rounds in just about every corner of town, from the rich, flowery parts to the deepest, foggiest swamps and slums. Quite a departure from the days of only having food stubs to steal in Mafia II. The thing that really clung on to me in many ways was the amount of violence featured during the demo. In a mission where Clay was supposed to silently infiltrate a motel in order to acquire info on the target he was after, the brother of the big mob boss in town, everything was going well in the way a stealth section would, but out of nowhere, the person playing since pulled out a revolver, point blank, and shot the person he interrogated in the face, chaos ensuing. The game had no qualms about not pulling the camera away. During the following section, with the actual hit taking place, an entire boat was slaughtered by the one man army that Lincoln apparently is. Just as violently, but this time with a shotgun, sometimes even at close range against unarmed innocents and enemies alike. 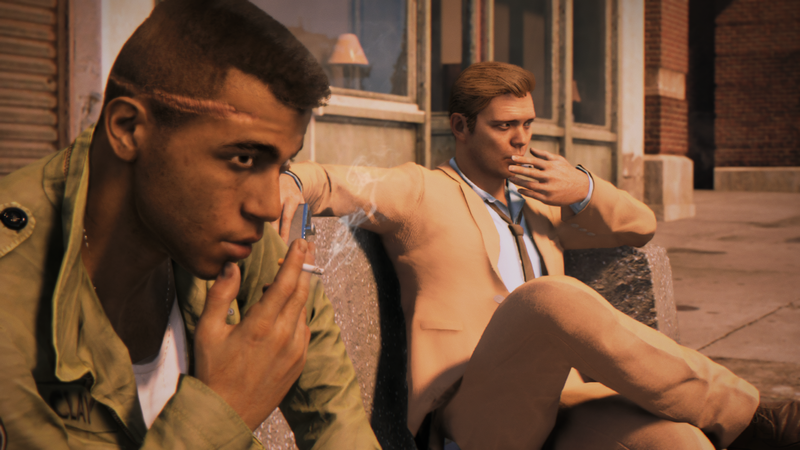 While it’s fine for a game to make use of its mature rating, it seems that Mafia III is aiming to take it really far in the graphic violence department. My hope is that the story can follow it up and complement it with reasons for why Clay might behave that way. The little that the demo showed featured a scarred veteran with a tendency to take things too far. It looks like that personality bit will play in with the player choices the game will give you. One in particular the person demoing the game showed the audience had Lincoln going after and taking out a dissatisfied booze runner friend (the one from his council) who betrayed him. According to the devs in the demo, that bit only happened after many of that playthrough’s decisions didn’t go in favor of that particular character’s goals. So there’s potential for different approaches to provoke a host of possible outcomes and guide the story to different crossroads, which seems pretty cool on paper, and gives hope that there are more shades to Lincoln’s personality to develop during the course of Mafia III. We’ll find out whether or not that potential will actually play out significantly once the game proper is out in October.